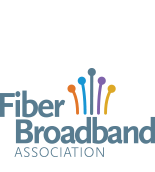 Last week the Fiber Broadband Association filed an ex parte letter with the FCC urging them to move forward on amending the pole attachment rules, enabling faster deployment of advanced wireline networks. Among our recommendations were: 1. Codification of the Commission’s Overlashing Precedent whereby providers do not need to submit an application prior to overlashing; 2. Permit new attachers to use One Touch Make Ready and 3. Define and establish processes for a “complete” application. All of our recommendations have been thoroughly discussed and reviewed over the past year as part of the FCC’s docket seeking to Remove Barriers to Infrastructure Deployment and in recommendations earlier this year by the BDAC. Go here to access the letter.